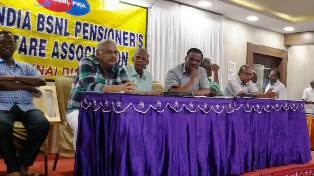 As the next stage of our struggle programmes, organize massive dharna at SSA headquarters to press our demand for pension revision with effect from 1-1-2017 granting the fitment benefit suggested by Seventh CPC for central service pensioners in India. That is the only correct demand. We only raised the correct demand at the right time. 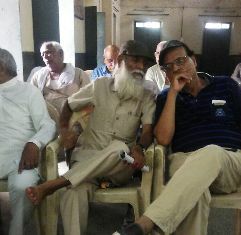 Now, our MTNL retiree comrades are also with us in full spirit. We move together with hope. 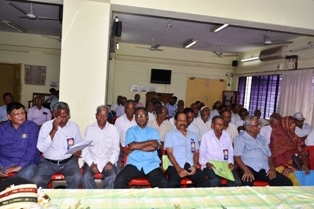 PRC has not suggested any formula for pension revision. Whereas, CPC has suggested a formula for pension revision. 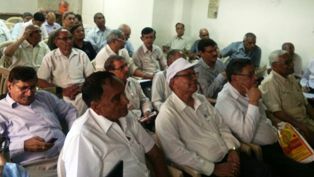 Joint forum of MTNL Retirees and AIBSNLPWA demand delinking of pension revision from pay revision. Delink it from PRC in total. Delink it from the fiscal performance of BSNL and MTNL. Because, for that, Government of India is paying pension; it need not depend upon the financial condition of BSNL/MTNL. The Demonstration programme on 20-6-2018 had its impact. There is some visible change in the attitude of authorities. Small; but significant. By end of July 2018, our demand …. only our demand …. will be forwarded to Department of Pension. It is only a small advancement. We have to do a lot in coming days. Step by Step. No step goes in vain. It requires a policy decision at the highest level. So, send the resolutions to Prime Minister and the Minister for Pension. Please organize maximum people on 18-7-2018. I know weather is not good at many places. But, we have faced all types of weather in our life. Please send the photographs of the dharna with brief notes on Wednesday itself to me as Email or whatsapp. 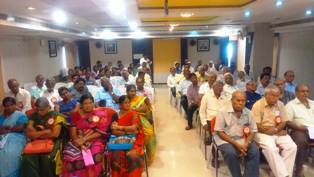 I am leaving for Chennai next day to attend the annual conference of Chennai based All India Federation of Pensioners Association. I will be back in Trivandrum only on next Sunday. So if I get the photos immediately, I can upload them in our Website on Wednesday itself. Department of Public Enterprises has issued orders stating that all PSEs should pay Gratuity at the revised rate; ceiling raised from Rs. 10 to 20 lakh. In the case of those who retired after 1-1-2017 and up to 28-3-2018, it is to be paid if the concerned PSE can afford. But, in the case of those who retired on or after 29-3-2018, revised rate is mandatory. In other words, PSEs should pay at the revised rate to those who retired on after 29-3-2018, irrespective of its affordability. 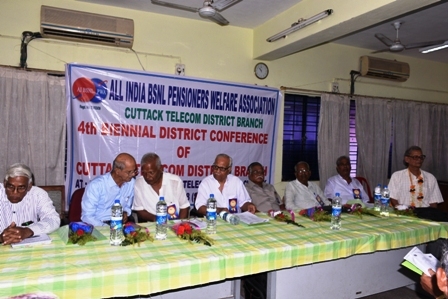 Since government is paying gratuity to BSNL retirees, the above order may not be applicable to BSNL. 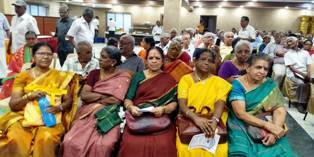 The BSNL retirees deserve different dispensation. 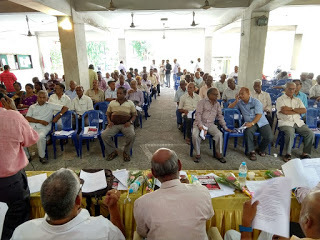 During the discussion our General Secretary had on sixth July, the Director (Estt) told that he had received resolution from our branches from all over India. It was impressive and a great success. We must continue our efforts vigorously. 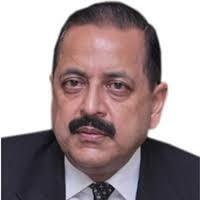 2) Dr Jitendra Singh, Minister of State for Personnel & Pension, o/o Prime Minister, New Delhi 110001. We request you to kindly revise pension of BSNL/MTNL retirees effective from 1-1-2017, with fitment benefits suggested by 7th CPC. ... ... ................................ P S Ramankutty, President. 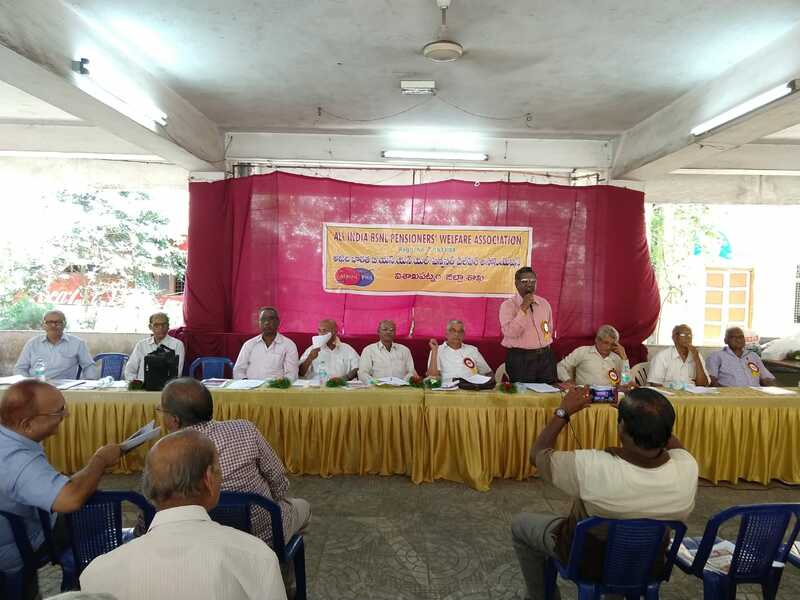 Kozhikode (Calicut) branch in North Kerala has a great tradition of active participation by its members in all activities. The SSA Unit has a Welfare Committee. The committee collects donation from our members regularly for charity work. Last Year, the Committee collected more than Rs. 1.5 lakh from our members alone and distributed to the very needy people suffering from chronic diseases, to those living in orphanages, old age homes, leprosy rehabilitation centres etc. etc. 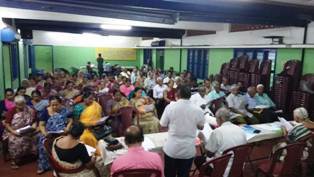 The Calicut branch had its general body meeting on 12-7-2018 in he main telephone exchange. 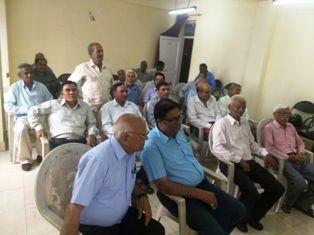 (See photo 1 and 2) During the meeting Smt. 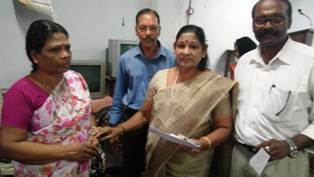 Anmnie Preman on behalf of the Welfare Committee handed over an amount to the wife of a person suffering from kidney problems. (See photo 3 below.) Com. 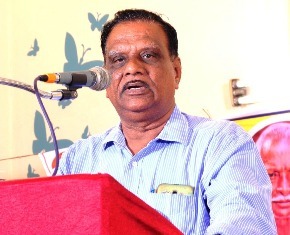 T Ramachandran (Prdesident) and com. 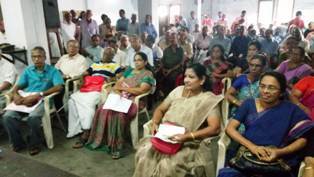 C K Surendran (DS) are also seen in the photo. On 11-7-2018, Corporate Office of BSNL has issued an order for taking 78.2% IDA instead of 68.8% for calculating yearly ceiling of entitlement for reimbursement of outdoor treatment with voucher. 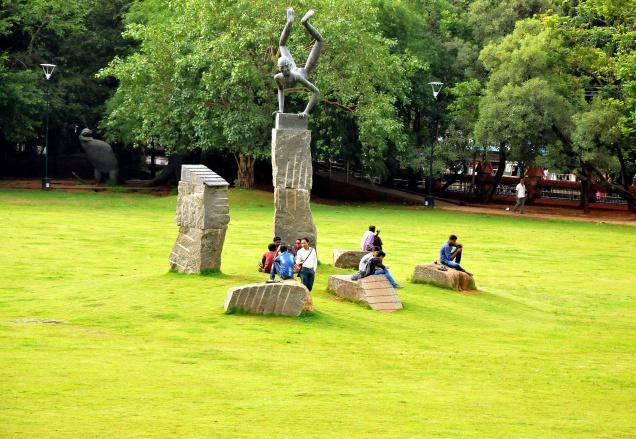 While IDA is raised from 68.8% to 78.2% for the purpose, the entitlement is reduced from 25 days to 23 days in an year. Result: If the basic pay of an employee is Rs. 10000 per month, the entitlement was Rs 13874 till this time. it is now reduced to Rs 13475. Net reduction of Rs 399 per year. The change is from 1-4-2018. It is applicable to Retirees also. REGARDING WITHOUT VOUCHER AND QUARTERLY ALLOWANCE, NO DECISION IS GIVEN SO FAR. 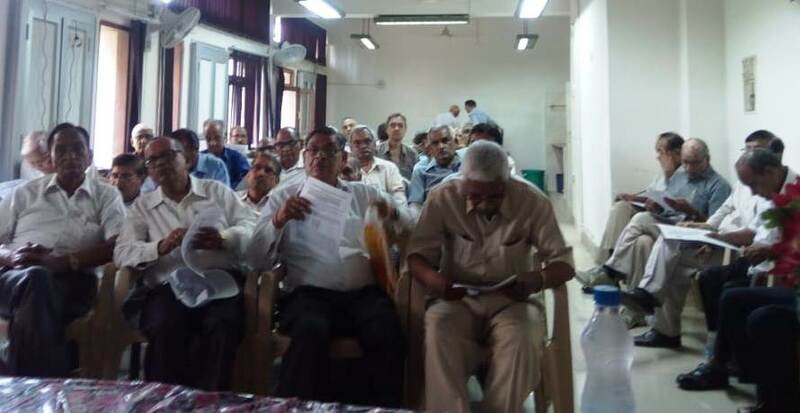 As decided by the Patna CWC meeting, a conference of Delhi Circle Unit of our Association was held on 7-7-2018 with representatives of the reorganized three districts. Com. 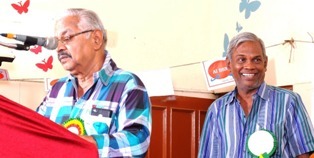 G Natarajan (GS) and Com. J S Dahiya (AGS) were present on the occasion in addition to Com. Anupam Kaul (AGS from Delhi). 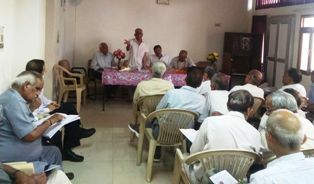 The circle conference elected unanimously a new team of office-bearers with Com. Munshilal as President, Com. Anupam Kaul as the Circle Secretary and Com. Shekhar Chand Jain as Treasurer. Thus the Delhi circle unit is cleaned and strengthened. Com. G Natarajan, our GS is in Delhi from Fourth July onwards. After attending the Delhi circle conference today he will return to Chennai. 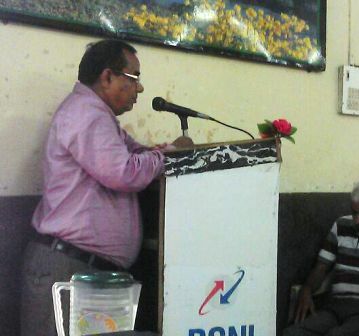 During these days GS met many officers in BSNL and DOT. Com. Anupam Kaul, AGS, Com. 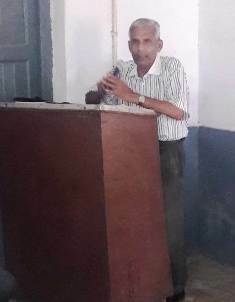 J S Dahiya, AGS, Com. R L Kapoor and others accompanied GS in these meetings. As all know, in April last year, quarterly medical allowance was restored for pensioners, due to our persistent persuasion. First, it was allowed up to September 2017; then it was extended up to March 2018. 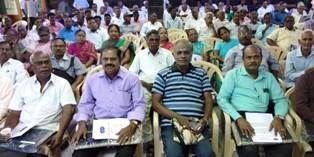 Sufficient fund was not allotted by Corporate Office. Hence many pensioners have not yet received the allowance. After March 2018, neither allowance is granted nor vouchers are accepted. Filed offices do not know what to do.Corporate Office has not issued any order on it. From the talks GS had with Director (HR), GM (Admn), etc. it is understood that Corporate Office has not taken any decision whether the allowance should be continued or withdrawn after March 2018. It is unfortunate. It is told to GS that BSNL will take a decision very shortly. 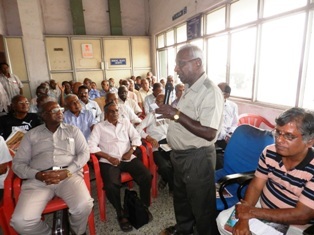 GS and others met the member (Services) in DOT and discussed about pension revision. Detailed discussion took place with Director (Estt) on 6-7-2018 on it. 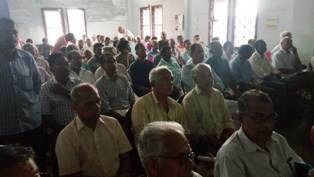 It is understood that our demand for pension revision with VII CPC fitment benefit is being referred to Department of Pension and Pensioners Welfare shortly. Along with our demand, DOT is pointing out that pension revision has taken place in the past after pay revision. It is a wrong notion. But, DoT is not willing to change its stand. Some other organizations too had such wrong notion and hence they demanded pension revision also with PRC fitment benefit. DoT took advantage of their demand. 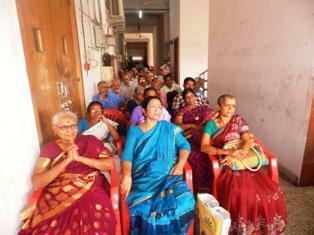 Against this background, linking of our Pension Revision with Pay Revision in BSNL is detrimental to all of us. It is high time for all organizations to understand the danger and move together. I hope better sense will prevail on all. I find an improvement in the situation. Till this time DoT was silent on our demand. Deliberately DoT did not disclose their approach. Now something is known. GS is successful to find out the position. 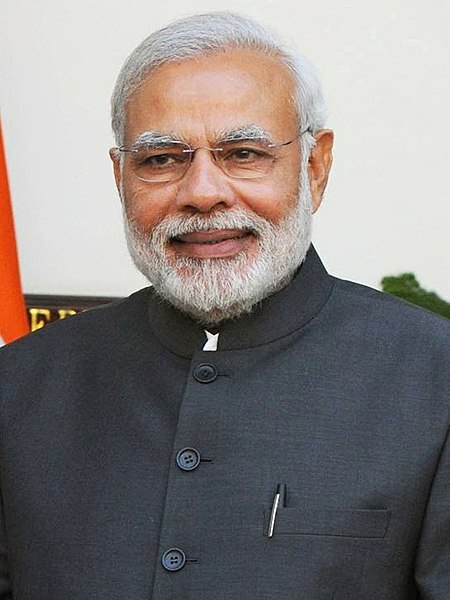 He could collect a copy of one letter written by Minister Shri Manoj Sinha to one MP on the pension revision. In that letter also it is indicated that pension revision will be taken up only after pay revision of serving staff. As such, pension revision is not easy. We have to struggle a lot. Department of Public Enterprises has issued three orders yesterday evening on rate of DA from 1-7-2018. 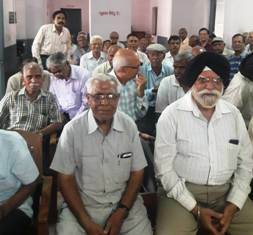 On 30-6-2018, 55 BSNL pensioners of Uttaranchal Circle assembled in the Telephone Exchange at Dehradun and unanimously decided to form a new circle unit of AIBSNLPWA. Com. J S Dahiya (AGS, CHQ), Com. Kailash Gautam (Circle Secretary of UP West) and Com. 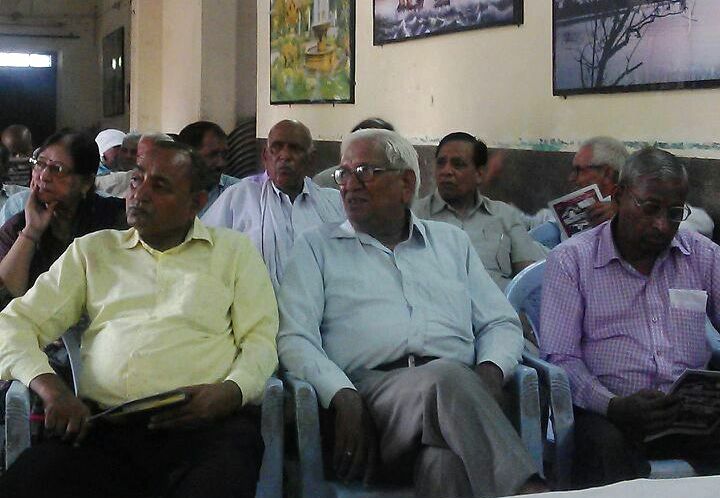 Shahabuddin (ACS UP West) spoke on the activities of AIBSNLPWA and issues taken up by the Association. 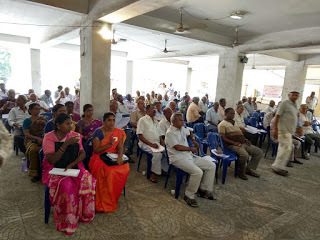 All the pensioners present agreed to become life members of AIBSNLPWA and form District bodies and thereafter new Circle body after holding formal District/Circle conferences. To begin with, an adhoc body with Com. 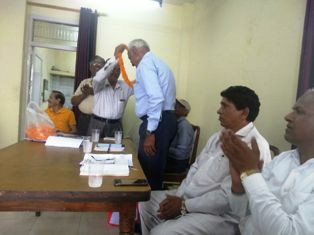 Ramji Dubey as President, Com. 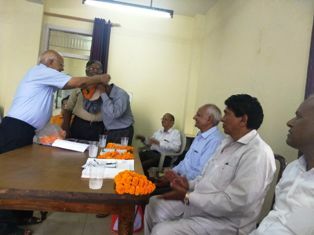 Gopal Daddar as Secretary and Com. Dhan Singh as Cashier has been formed today. 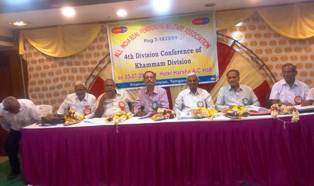 The District Conference of Visakhapatnam was held on 24-6-2018. 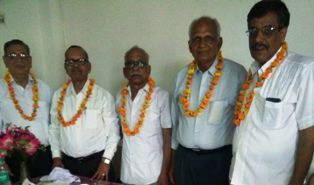 Comrades M Sreemannarayana, K Soma Sundara Rao and P Babu Rao are re elected as District President, District Secretary and District Treasurer respectively. 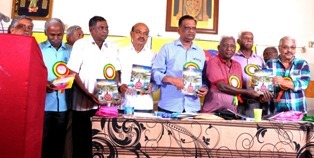 Shri J Ramachandra Rao, Retired CGM is the Chief Advisor.